Interested in obtaining a FREE copy of the Best ECG app on the App Store? iAnesthesia the producer of Instant ECG: An Electrocardiogram Rhythms Interpretation Guide is giving away 10 free copies. 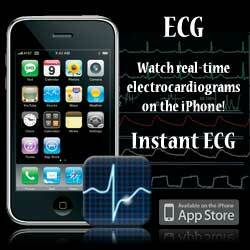 Get a copy of the Best Medical ECG app! 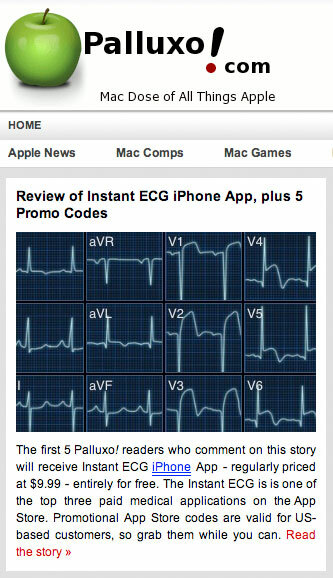 Enter the Promo Code for Instant ECG, and your FREE copy will automatically download. Enjoy! Instant ECG has now become recognized as the best electrocardiogram reference. 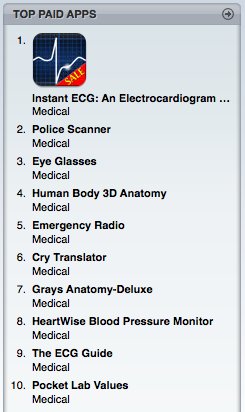 In addition, Instant ECG is also the #1 Top Paid Medical App in the iTunes App Store. Thank you to all of the medical professionals whom have downloaded Instant ECG and made it such a great success! We would like to thank everyone for their patience… the long anticipated wait for the Instant ECG iPhone App update is now over! Apple has approved our new version 2.4 and it is available for download immediate through iTunes. All current users will get a FREE upgrade to the current version. To download the newest release of Instant ECG: An Electrocardiogram Interpretation Guide please visit the iTunes App Store. Instant ECG: An Electrocardiogram Guide has released a free update to the iTunes App Store. It is immediately available for download. 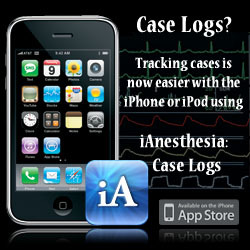 Check out the Top Paid Medical Apps for the iPhone or iPod Touch. We have a wonderful update to Instant ECG in progress… If you are interested in submitting a real life example of a 12-lead ECG that you think is a perfect example of a rhythm abnormality. Please send us the electrocardiogram and you might be featured in version two!